Why Become a Faber Worker? There are lots of places you can go to find your next construction gig, but are you searching in the right places? Craigslist, Kijiji, Indeed, and temporary labour agencies are the old ways of finding construction work. At Faber, we believe that if you have a smartphone in your hands and a goal in mind, finding a fulfilling role in construction shouldn’t be difficult. This is why we built the Faber Worker app. We built a place for construction workers like you to find short-term and long-term projects through local contractors and developers. So why become a Faber Worker? Other than the app being free to use, here are a few reasons why you would become a Faber Worker. When was the last time you were able to set your own work schedule? A majority of the projects in the construction industry have a set schedule. If you’re only available to work on specific days – like weekends, then it could be hard to find labour work. Looking through job boards might help you find short-term work or projects with a fixed schedule. It would be a lot easier if you were automatically notified about available jobs based on your schedule, right? We believe you should still be able to find work in the construction industry, no matter what your schedule is. The Faber Worker app lets you manage your own availability to work as much – or as little as you want. Based on the days and hours you’ve set for your availability, you’ll be automatically notified about upcoming projects that you can apply to. Faber gives you the ability to earn extra money. It’s easy to set your own schedule with Faber – whether you’re looking for more work on the weekends, trying to stay busy in between projects, or making extra money while you’re in school. You work with your hands, and not many people can do what you do. As a tradesperson, your work should be highly valued and recognized. When it comes to finding short-term or long-term construction projects it’s important to know what kind of tasks you’ll be doing and what the potential for learning is. You’ll sometimes see job postings like the one below, which barely gives you an idea of what you may or may not be working on. As a construction worker, there’s a very high chance that you’d rather do tasks that help you develop your skills. For each Faber project you work on, you’ll have a clear sense of satisfaction and accomplishment. 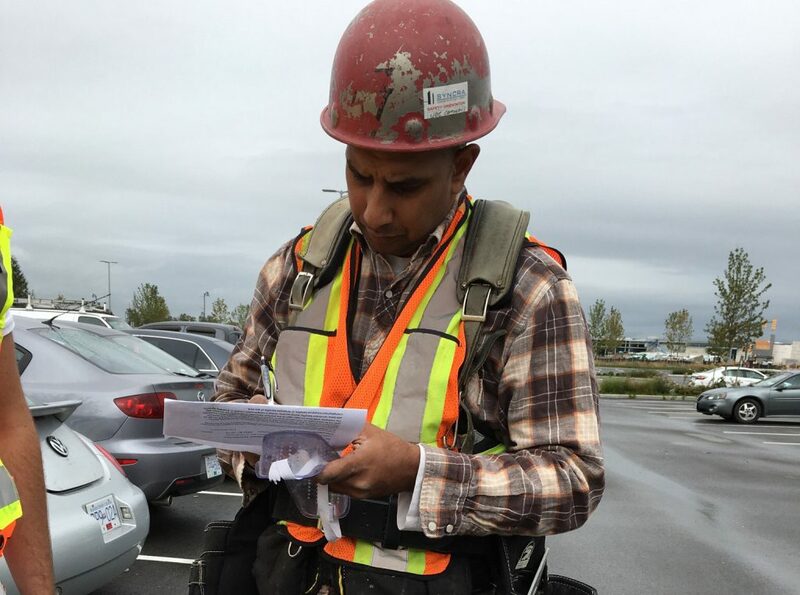 When you put in good work, Faber Contractors can rate your profile so that you show up as a superstar Faber Worker to other Faber Contractors. This means you’ll have better chances of being matched with projects you want to do. 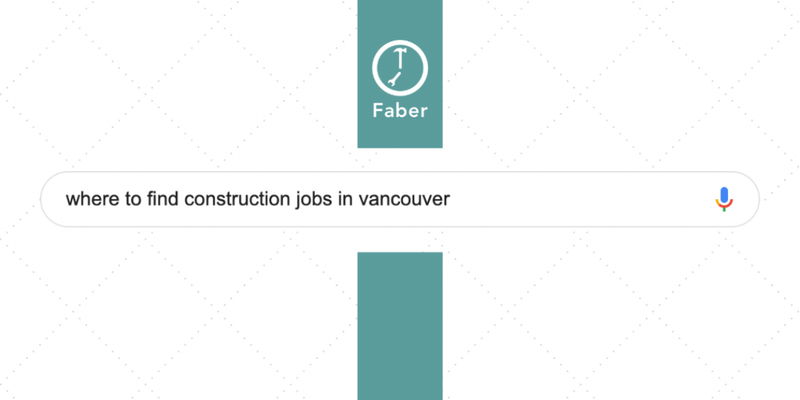 Below is an example of projects that you can find through the Faber Worker app. 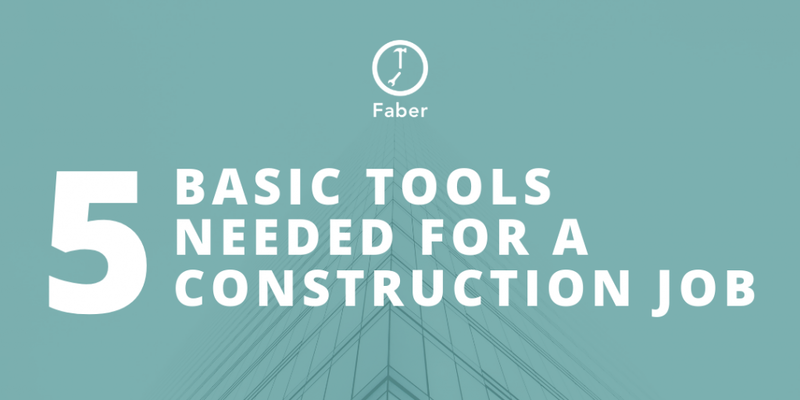 Each Faber project has a clear description so that you get a good sense of the type of tasks you’ll be working on within the project. If you find working with your hands is what you do best, then Faber gives you clear opportunities to do work that you can feel good about. Construction sites can have up to thousands of people on site. Whether it’s a short-term or long-term construction project, there has to be a strong sense of teamwork to keep everything on track and the people motivated. Being placed in a project that is already underway can be intimidating, especially as a new addition to an existing team. A good team lays out the foundation of an entire project. A team that is proud of what they do has a direct effect on how you perform as well. Working with great people that can show you the ropes is a sign of a team that is invested in your success. 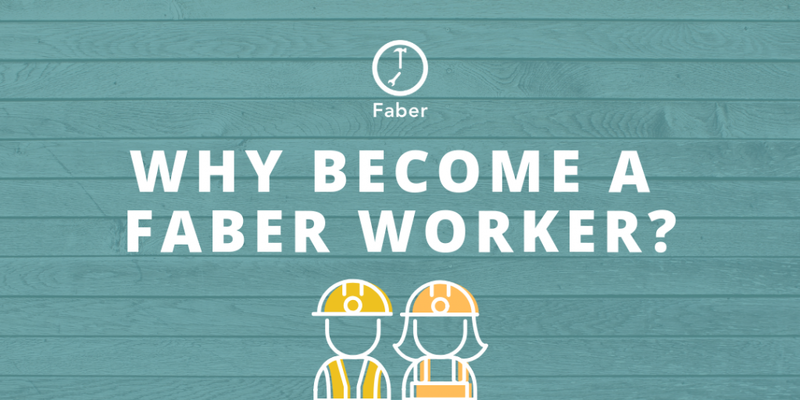 Become a Faber Worker to connect with teammates and supervisors that want you to succeed. All Faber Workers and Contractors are positive and respectful people who have been verified by our in-house team. Your future team members encourage positivity, take pride in what they do, and have the highest standards for quality. Becoming a Faber Worker means becoming a part of a team that will motivate you to grow and be the best at what you do. Building your experience in the construction industry means doing at least one of two things: go back to school or work on projects that give you the opportunity to learn something new. With the urgent need for construction workers, contractors have to become more flexible when it comes to finding workers for their project needs. 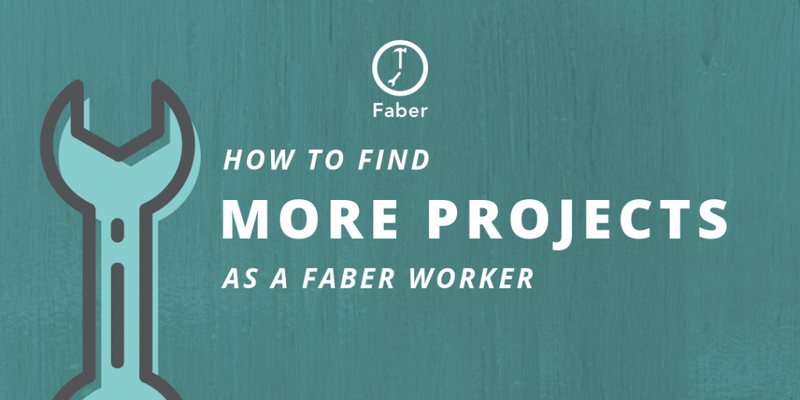 Faber Workers are given a ton of opportunities to work on some of the most diverse and innovative projects. As a Faber Worker, you can pick the skills you want to learn more about. Doing this automatically matches you with contractors that are open to teaching you these skills. For example, you might be thinking about learning a new skilled trade like concrete forming. You might have the skills of a general labourer, but that doesn’t mean you’ll only find general labour projects. When building out your Faber Worker profile, you are given the option to select the skills you want to learn. If you’ve selected “concrete forming” as a skill you want to learn, then you can get matched with Faber Contractors and projects that can show you the ways of concrete forming. Becoming a Faber Worker can expose you to new projects that can help you grow as a skilled labourer. As you gain more experience, then you’ll eventually start to see bigger opportunities. Why become a Faber Worker? You can work based on your schedule, do fulfilling and rewarding tasks, team up with the best contractors and crews, and learn new skills or gain experience. If you’re looking for a new beginning in the construction industry or projects that help you grow as a professional, then becoming a Faber Worker can help. Ready to join Team Faber? Sign up and download the Faber Worker app today.